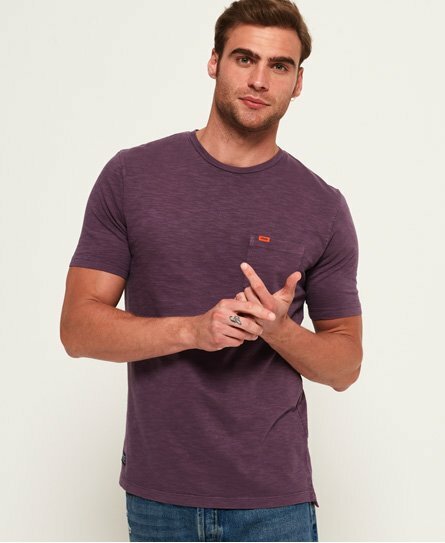 Superdry men’s Dry Originals pocket t-shirt. A straight forward and clean t-shirt that looks good worn on its own or layered. This versatile t-shirt features a single breast pocket with a Superdry logo badge and is finished with a Superdry Originals logo badge above the split hem.